Specification: LED Power: 36W (12 x 3W High Intensity LED) Beam Pattern: Spot Beam Input Voltage: 9-30V DC (fits 12V, 24V vehicles) Working Lifespan: Over 30,000 hours Working Temperature: -40~85 degrees Celsius LED Color Temperature: Pure White 6000K-6500K Material: 6063 Aluminum Alloy Profile, High quality Led Chips, PC Lens Waterproof Rate: IP67; Waterproof, dustproof, quakeproof and anti-corrosive. Certifications: CE, FCC and RoHS Applications: Off Road Lighting: Jeeps, 4x4, Cars, Motorcycles, ATV, UTV, SUV, Truck, Trailer, Forklift, Trains, Boat, Bus, Road Buggy, Sand Rail, etc. Other Lighting: Excavator, Dozer, Road Roller, Crane, Tractor, Harvester, Grain Drill, Mower, Snowplow, Fire engine, Rescue Vehicle, Camping, Mining, Construction Lighting, etc. 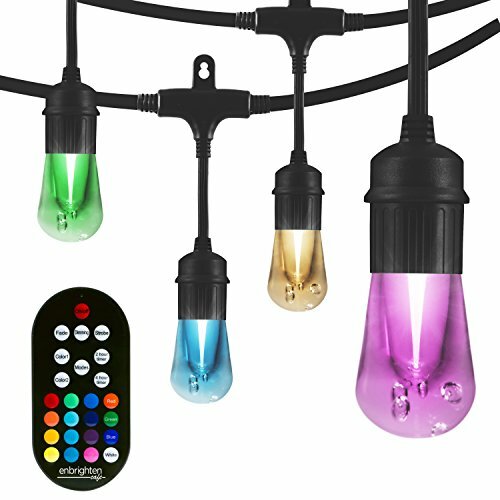 Household Lighting: Garden, Backyard, Garage, Indoor Lighting. (Note: Use a voltage transformer/converter to convert the AC 110-120V to DC 12V for indoor use.) Note: They are aftermarket parts. NOT D.O.T. approved. Do not use if D.O.T. is required. For off road use only. Before installing this product, please check your state/provincial and local/municipal laws and regulations. Discover the future of lighting with Enbrighten Vintage Seasons Cafe Lights. Choose vibrant colors for any occasion or holiday, celebrate your favorite sports teams or choose warm vintage white for beautiful year-round installations with a premium design. You never have to take down your outdoor holiday lights again. These carefully crafted Edison-style cafe lights boast the functionality and durability of the standard LED model with a stylish, vintage twist plus selectable color modes. The impact resistant bulbs exude a soft, amber glow, creating an instantly warm atmosphere to any location or choose your favorite color, two-color combination or a variety of preset color modes. Enbrighten Vintage Seasons Cafe LED Lights by Jasco include 24 bulbs on a 48-ft. string and are linkable up to 750 ft., so you will be sure to have as much light as needed to illuminate any space. Experience endless possibilities with Enbrighten Cafe LED Lights by Jasco, guaranteed lighting for life. Comes with remote to select color, with included dimmabilty and 2 or 4 hour timeout options. 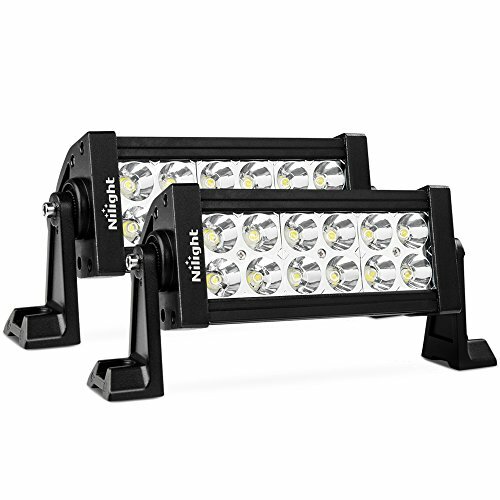 The product is UL listed and backed by a limited-lifetime LED warranty. 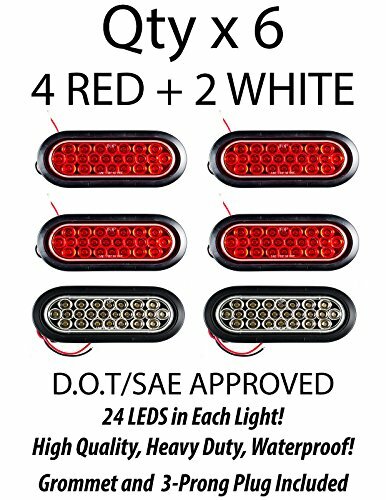 24 Red/White LED 6" Round Interior Dome Light by Maxxima, three-hole surface mount and two blunt cut leads. 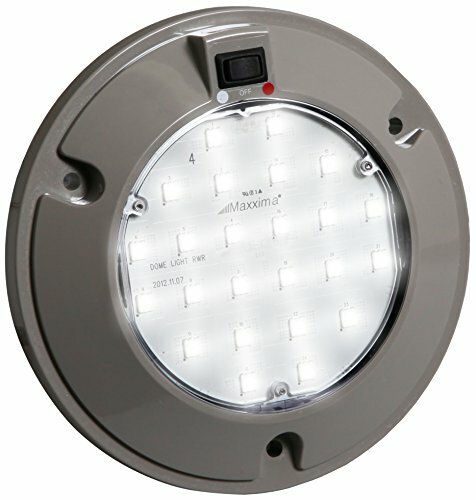 Maxxima's new dual color low profile dome light is perfect for overhead cab or compartment lighting. 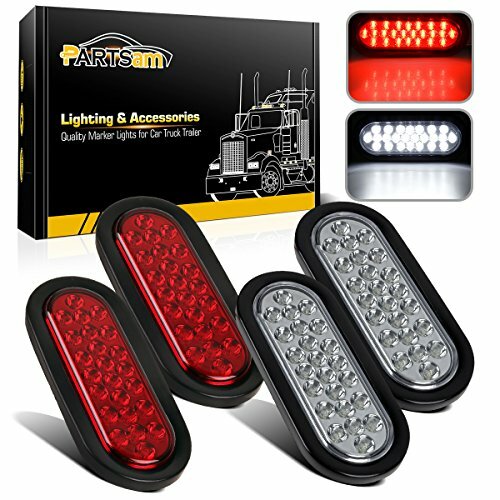 This model is equipped with one even light source that can easily change from red to white illumination with the built-in three position rocker switch. 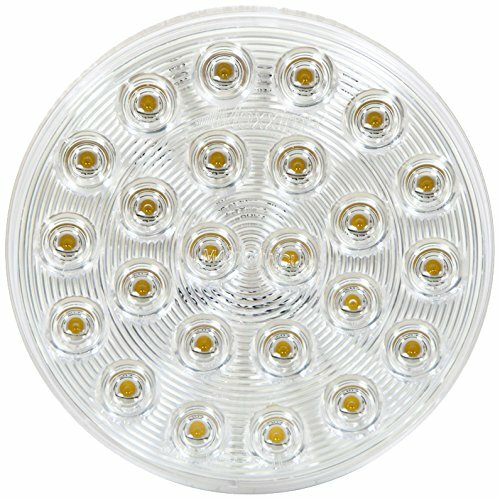 24 White LED 4" Round Warning Strobe Light by Maxxima, use with standard 3-Pin connector. Maxxima introduces its newest emergency warning light series, utilizing ultra-thin low profile LED technology for a sleeker look, and high LED count for optimum visibility. LED Rope Lights Commercial Grade, Accent lamp; Decorative Lighting These lights emit a clear glow that will add ambience to any atmosphere. The Commercial Electric 24 ft. LED Rope Light Kit could be used for illuminating railings, stairs and trim. Featuring a clear, flexible design and the LED lights could help save on your energy costs. 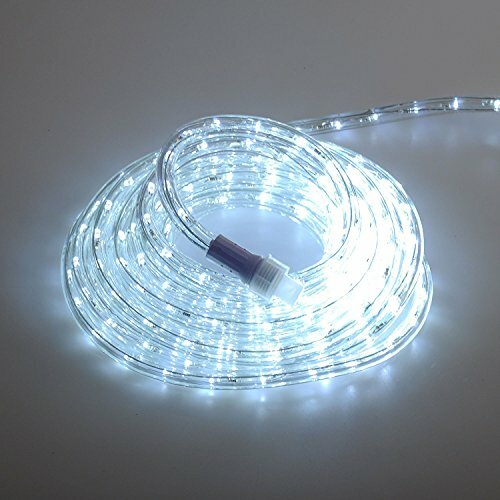 This rope light is UL rated for indoor & outdoor use, super high quality, perfect for Christmas and year round use, make all your outdoor decorating festive and lively Offer and ship from USA by Brightown"
Looking for more Heavy Duty 24 White Led similar ideas? Try to explore these searches: Antique Bronzed Pendant Base, Blue Stripe Suit Jacket, and Thick Foam Pad. 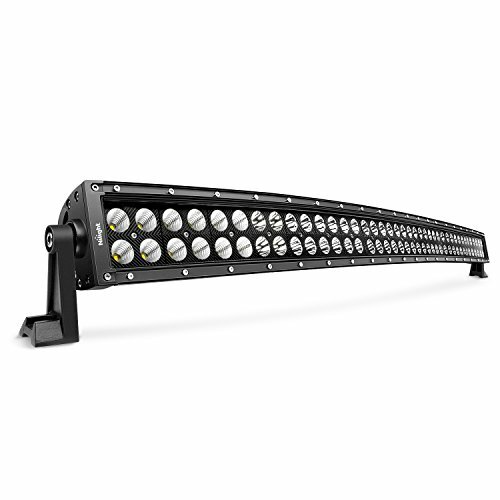 Look at latest related video about Heavy Duty 24 White Led. Shopwizion.com is the smartest way for online shopping: compare prices of leading online shops for best deals around the web. 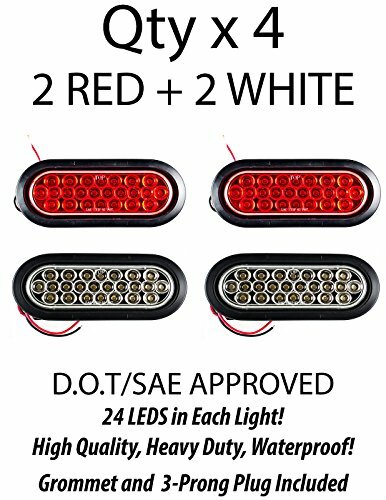 Don't miss TOP Heavy Duty 24 White Led deals, updated daily.